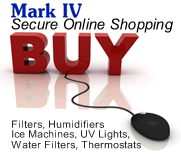 If you are replacing your home heating and cooling system, or purchasing new equipment for your restaurant or business, Mark IV has financing options available to fit your needs. You may have cash or maybe an ample line of credit at your disposal, but if not we have some options which could make your purchase easier. At certain seasons of the year, Trane may also offer special financing. When you call for an estimate, ask about all the payment options available. Now that financing is out of the way your decision will be a little easier. If you are replacing or purchasing a new ice machine or frozen beverage/dessert equipment for your business, leasing might be the best option for you. We currently have several plans available. Call our salesman today to discuss which one would be the best fit for your company.